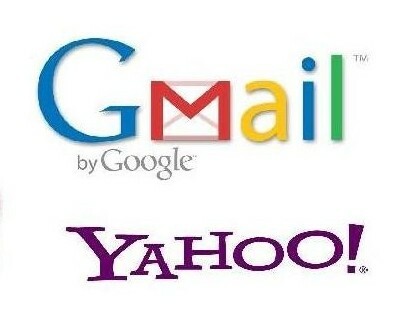 When you compare the web interface of Yahoo with Gmail, Yahoo scores better. I personally like Yahoo interface, so I would like to stick with it. But what if I don’t login to my Gmail account? Surely I’ll miss many important emails. This article lets you know how to check Gmail in Yahoo an keep in touch with Gmail. Isn’t it great? Check out some easy steps to do so. 1) First login to your Gmail account. 2) Click on “Setting” option present on the top Right corner of Gmail. 3) A window will appear where you need to go to “Forwarding and POP / IMAP” tab. 4) From the tab, go to “POP Download” section and click on “Enable POP for all Email”. 1) Login to your Yahoo account. 2) Click on “Option”, and then “More Options”. 3) A window will appear where you need to click on “Accounts” option on left side. 4) Now click on “Add Account” option present at the top of right side window. 5) Here, give an account name that you would like to identify your Gmail account by. 6) After that give your full name in “From” name box. 7) Now type email address of your Gmail account, in the Email address box. Then in “Receiving Mail” section, select the folder where you want your Gmail emails to be delivered in Yahoo mail. 9) After selecting the folder, provide your Gmail user name and password. 10) Now in the “Server” box, enter “pop.gmail.com”. 11) Once done, click on “Save Changes”. That’s it, now you will receive Gmail in Yahoo mail in the folder that you had selected. You can reply to any email, just by clicking on reply. These steps would take just a few minutes, but I believe this is a great way to receive Gmail emails from Yahoo. Do try this procedure and let us know if you have any other tricks in the below comment section.